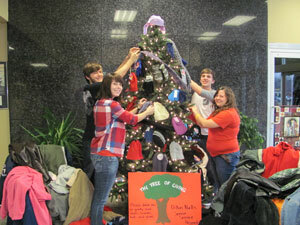 Cumberland EMC offices accepted donations of cold-weather clothing and non-perishable food items to decorate the “Trees of Giving” throughout the month of December. All items collected were delivered to local community assistance agencies who then distributed the items to families and individuals in need. Items were donated by employees, members and various school clubs. The December FPU Student Utility Board meeting included opportunities for the group to give back to the community and help others in need by purchasing gifts for 32 children enrolled at Amana Head Start. 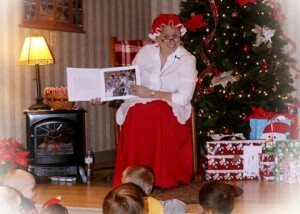 The gifts included gloves, toboggans, coloring books, crayons, Hot Wheels cars, bracelets and more. The youth board also recorded a radio ad for FPU which aired through New Years Day. FPU donated their semi-truck driven by Michael Porter and Gerardo Villafuerte to assist the Fayetteville Rotary Club, The Elk Valley Times, Fayetteville Fire Department and many others in efforts to transport toys to for the Lincoln County Toy Drive. 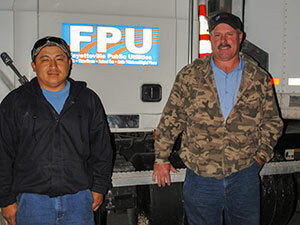 The FPU truck used to pull the Big G Express trailer is typically used to haul heavy equipment to work sites. Michael and Gerardo teamed up to lend a helping hand with the three nights scheduled for purchasing toys for needy children through the Lincoln County Toy Drive. On three separate nights, the men accompanied the volunteer shoppers as they purchased toys and other items, helping load the toys in the truck and transporting them to the storage facility for distribution. “We were glad to help,” says Porter. 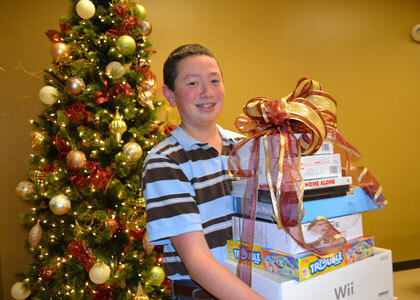 “The toy drive was very well organized, and it was an enjoyable experience to work with them. I hope to help again. “You think about those kids who are in need, and it makes you proud to be a part of something like this,” says Villafuerte. For the past nineteen years, Holston Electric Cooperative employees, board members and retirees have served as “Secret Santas,” providing a pizza party in the cooperative auditorium, gifts, and a visit with Saint Nick for Hawkins County foster children. In 2012, HEC provided special Christmas activities for forty-three children from six weeks to thirteen years old. 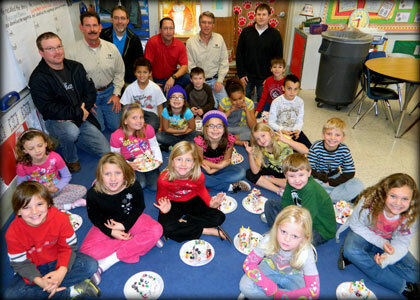 Sandy Qualls’ second grade class at Centerville Elementary School built gingerbread houses with their Adopt-A-Class Sponsor Meriwether Lewis Electric Cooperative on December 14. 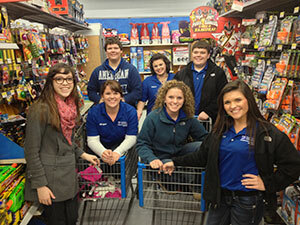 From left, front row, Caleb Simpson, Addie-Gene Puckett, Meredith Kelley, Jade Yontz, Trevor Buchanan, Marley Baker. Second row, Julia Daniels, Riley Johnston, Elizabeth Diggers, Bethan Diggers, Kaelinn Trom, Sloan Rochelle. Third row: Keelan Jogan, Weston LaRue, Harmony Dansby, Aaron Sullivan, Devin Rochelle. Back row: MLEC Employees Chad Blackwell, Mike Potts, Eddie Benz, Gene Hal, Steve Skelton and Eric DeVault. 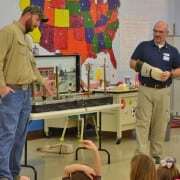 A special banquet was held December 7, to honor winners in Meriwether Lewis Electric Cooperative’s annual ornament contest. 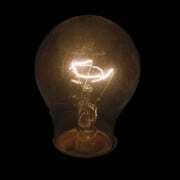 It took place in the cooperative’s Touchstone Energy® Conference Center located at their Centerville location. A first place winner for three grade divisions was recognized in each county served by the Tennessee cooperative. All winners were awarded a $50 gift card. Of all winners present at the banquet, one name was drawn for a family entertainment grand prize. It included a Nintendo Wii with extra controls, Wii games, a personal DVD player, movies, and board games. The winner was Logan Morris of Perry County.